The National Space Society (NSS) declares that in consideration of the achievements by SpaceX, Blue Origin, and Boeing over the past few years, it is now obvious that a revolution in spacecraft technology, operations, and economics is occurring. There is every prospect that privately owned re-usable spacecraft operating under service contracts will greatly lower the cost of reaching space. 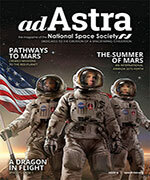 NSS calls on Congress, the Administration, and NASA to immediately begin a review of all current NASA and other spaceflight related programs to consider how the usage of commercially available launch vehicles and spacecraft that are largely reusable can lower costs and/or increase operational capability. Suggestions to guide this review can be found in the NSS position paper “Now is the Time: A Paradigm Shift in Access to Space” (also available via: tinyurl.com/AccessToSpace). 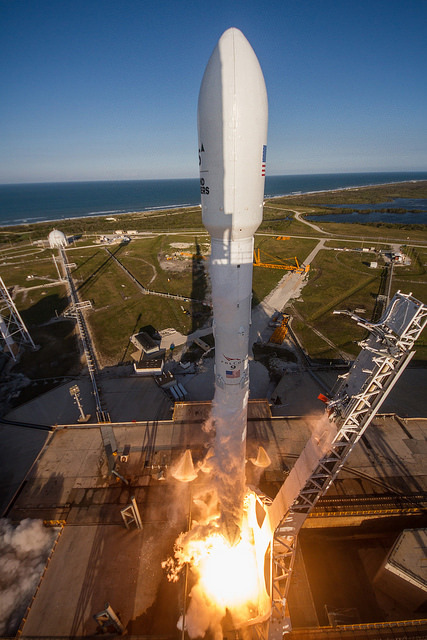 The SpaceX Falcon 9 made history on March 30, 2017, at 6:27 EST by lofting the SES 10 communications satellite to geosynchronous transfer orbit using a “flight-proven” first stage. The first stage flown was initially used to launch a Dragon capsule to the International Space Station on April 8, 2016, as part of the Commercial Resupply Services program. After returning safely from space and landing on the drone ship Of Course I Still Love You (OCISLY), the flight proven first stage was returned to dry land, refurbished, tested, and sent back to Florida to support the re-launch on March 30th, after which it again landed successfully on OCISLY. In another historic first SpaceX attempted F9 fairing recovery using parachutes. The fairing is the enclosure for the rocket’s payload. The roadmap can be found at: www.nss.org/settlement/roadmap/RoadmapPart2.html. 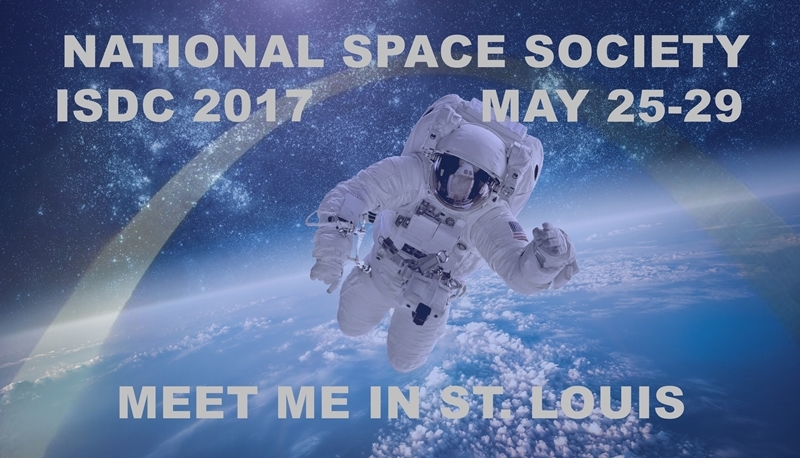 A great way to learn more about the connection between launch technology and the NSS Space Settlement Roadmap is to attend the NSS International Space Development Conference® (ISDC®) (isdc2017.nss.org) in St. Louis, Missouri, May 25-29, 2017. 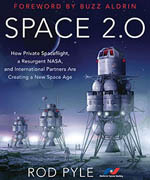 The ISDC’s Space Transportation track will examine all facets of space transportation from the new generation of commercial launch vehicles that through technical innovation and reusability are lowering the cost of space access to in-space transfer vehicles and deep space interplanetary propulsion systems. Many examples of reusable first stages (flyback and vertical descent boosters), reusable capsules, air launch systems, laser launch, suborbital tourism vehicles, and heavy lift boosters will be included in this track as will cis-lunar transportation elements necessary to enable cis-lunar operations and lunar exploration, and architectures that enable Mars exploration. 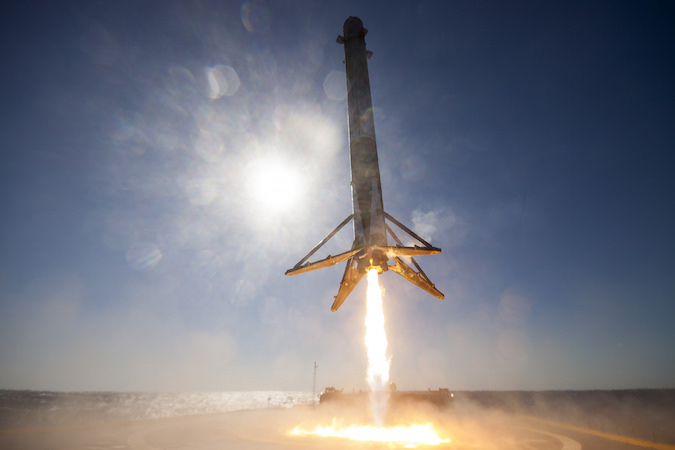 “The re-use of a Falcon 9 first stage paves the way for the initial flight of the Falcon Heavy later this year, and is a key step toward a commercial return to the Moon,” said NSS Senior Vice President Bruce Pittman. Very well said. Aligns with what Air University found in their research.